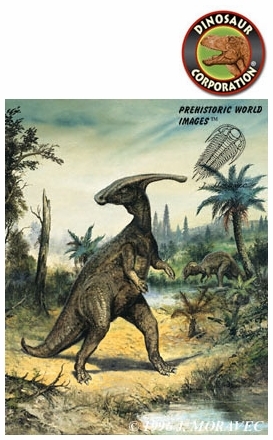 Parasaurolophus Art print. Printed on premium glossy super-B photo paper. Original oil painting by Josef Moravec. SIZE - Lengths up to 30ft (10m).